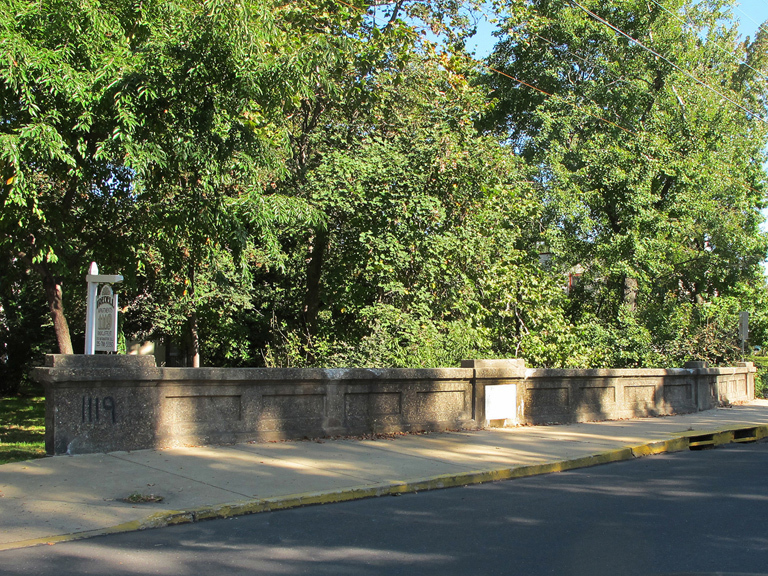 The bridge a block away from Saint Mark Church was built in 1911 and crosses Adam’s Hollow Creek, the northern limit of Bristol Borough from 1800 into the 20th century. This creek also serves as a rough boundary for the Bristol Historic District, as listed on the National Register of Historic Places. Beyond Adam’s Hollow Creek lie places now encompassed by the Borough, including two formerly independent communities, named Pine Grove and Harriman. There are also places beyond the creek which served as home to major 20th century industries, such as World War-era shipbuilding and aircraft manufacturing. Currently, both commercial and residential spaces occupy these areas and examples of each have been recognized by subsequent listings in the National Register. 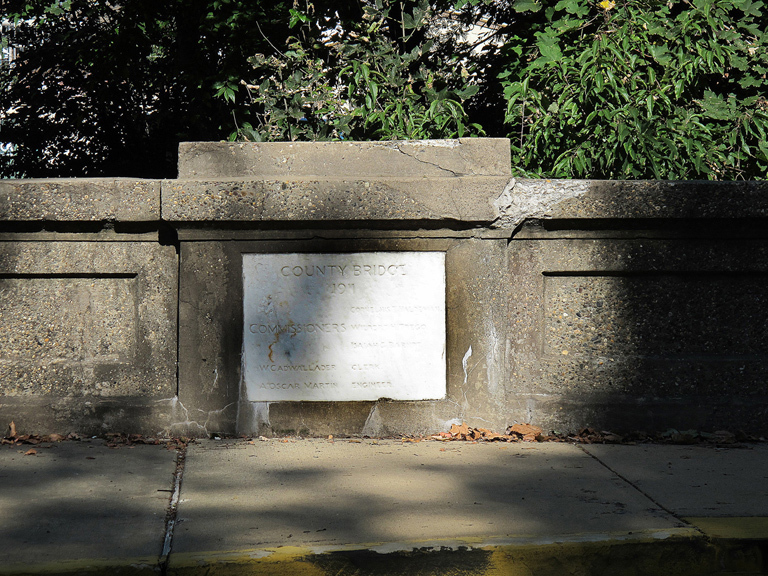 NOTE: Until 1922, this was the border between Bristol Borough and Bristol Township.